Behind The Thrills | Busch Gardens deals kick off new year with coaster and waterslide fun! Busch Gardens deals kick off new year with coaster and waterslide fun! Busch Gardens deals kick off new year with coaster and waterslide fun! Busch Gardens Tampa has come out of a great 2014 with bigger plans for 2015. The park is going to be kicking off their first ever Food and Wine Festival, while Adventure Island will open the first new attraction in several years with Colossal Curl. To help kick off the year, the park is offering some really killer deals, including the return of the Preschool Pass. It’s a great deal to kick off what is sure to be a great year. The biggest deal right now is, for a limited time, the two for one Fun Card deal. When guests purchase a Busch Gardens Tampa Fun Card, they get an Adventure Island Fun Car free! 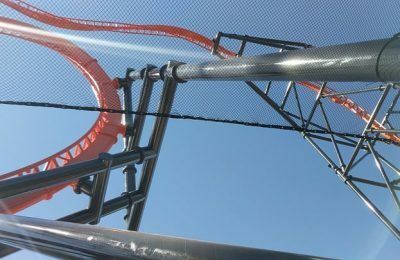 It’s a huge deal, giving you the chance to take part in the all new Colossal Curl, the first new attraction at Adventure Island in almost a decade! The all new waterslide will shoot guests into a huge bowl, before launching them up a huge wall of water, and defying gravity. The Fun Cards also give you access to all the huge events coming to the parks this year, including the very first Food and Wine Festival. The BGT Food and Wine Festival will give your taste buds a kick they’ll find nowhere else in the world, and will also give you a concert by some of today’s biggest bands. The park is also giving guests any two days, and any two parks for just $99 dollars! That’s a huge savings off the regular park admission price. Choose between SeaWorld Orlando, Aquatica, Busch Gardens Tampa, and Adventure Island. For the little ones, the amazing Preschool Pass is back. This pass gives unlimited admission to kids ages five and under…FOR FREE. Of course, adult admission is required, but guests can register their little ones online. The best part is that this year you can register for both SeaWorld Orlando AND Busch Gardens Tampa. Online registration is required. Click here for more details! 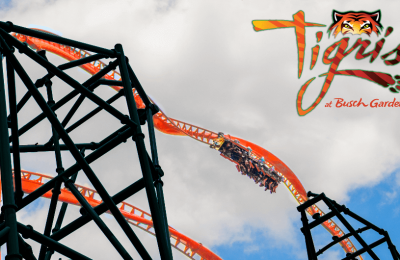 2015 is shaping up to be a huge year for Busch Gardens Tampa, and with these deals, you can make the most out of your fun while still keeping your budget. 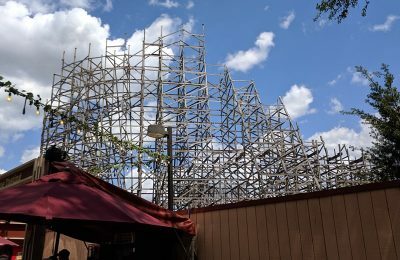 Stay tuned for more from Busch Gardens Tampa, and be sure to get social with us on Facebook, and follow along with us on Twitter @BehindThrills for the latest updates!